Hadharat Abu Hurairah (Radhiyallaho anho) narrates that he heard the Prophet (SAW) saying: There is no place in ISLAM for a person who does not offer his SALAAT and there is no SALAAT without WUDHU. The position of SALAAT in ISLAM is a position of head in a body. 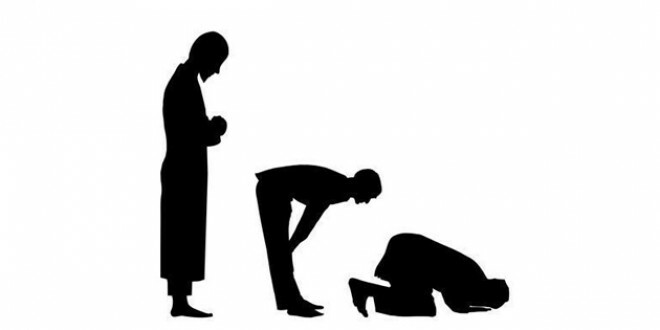 The position of salaat in jamaat is twenty-seven times more and in some hadith it is mentioned twenty-five times more, why is the difference? * In Sirri (quiet ) salaat i.e. zohr and asr it is twenty-five times, while in Jahri(loud) salaat i.e fazr,magrib and Ishaaa it is twenty-seven times. * In fazr and ishaa, when it is somewhat inconvenient to go out in cold and darkness, it is twenty –seven times. * In the beginning it was twenty-five times but subsequently ALLAH favour on the followers has it been raised to twenty-seven times. Muhammad bin Samaak (Rahmatullah alaiho) is a famous theologian and sheikh. He died at 103. He used to perform two hundred rakaats of nafil salaat daily. He writes : For forty years he never missed the first takbeer of salaat with jammat ,except once when my mother died .Once I missed the salaat with jammat .As I knew that the salaat was twenty-seven times superior, I repeated this salaat individually for twenty-seven times to make up the loss. 10. A weight of scale of good deeds. ISHAA NAMAAZ AS O U VOILATOR OF ALLAHS COMMANDMENTS.